America’s oldest motorcycle brand - Indian Motorcycles - is on its way back and the first signs do look exceedingly good. This magnificent creation is the Spirit of Munro Streamliner, an homage to the motorcycling legend that cleverly mixes modern technology with gorgeous retro styling. At first glance, you wouldn’t know that this bonneville rocket houses their latest motor as well. 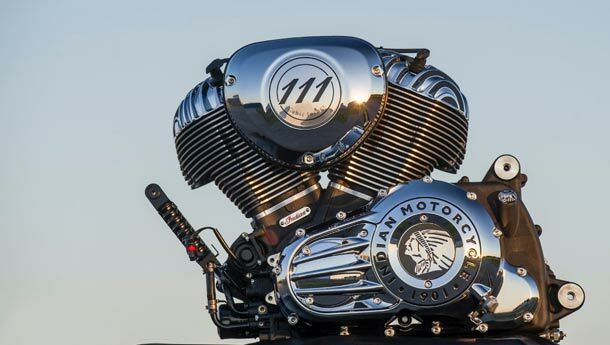 Rather cleverly, Indian Motorcycle has used this one-off custom to showcase their latest motor - the ThunderStroke 111. The Thunderstroke 111 will power Indian motorcycles coming next year and if it runs as good as it looks and sounds, it will be quite a powerplant. Displacing 1811cc, the 49-degree, parallel-pushrod, air/oil-cooled V-Twin employs a forged single-pin crankshaft, three cams, two valves per cylinder and is fed by electronic fuel injection. Indian even says that the crank has been tested for over one billion revolutions. Its unit construction also houses a six-speed transmission and a clutch that’s designed to have less operational effort. It’s a shame the Thunderstroke is hidden inside the bodywork here but this beauty will be there for everyone to see on the motorcycles next year. And what a looker this motor is. With a chrome-heavy finish, outward angled fins on the head, prominent parallel pushrods and gorgeous Indian insignia, we have little to complain about. The primary inspiration to get things started on this project was the Indian Chief, a motorcycle so distinctly styled, there is no mistaking it for anything else. 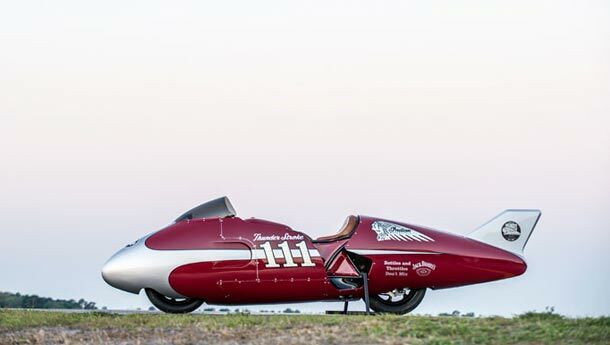 As for the streamliner itself, it’s a one-off cleverly serving many functions including publicity for the brand, publicity for their new motor, connecting folks back to Indian’s history and paying homage to Burt Munro and what could possibly be the world’s most famous Indian. Back in 1967, motorcycle aficionado Burt Munro of New Zealand smashed the sub-1000cc land speed record on his 1920 Indian Scout after years and years of struggle and challenges. The man had put his life into fulfilling his dream and the movie The World’s Fastest Indian captures the essence of the story brilliantly. For all you gearheads out there, it’s a must watch. The Spirit of Munro is not just a museum static either; it’s a proper runner. 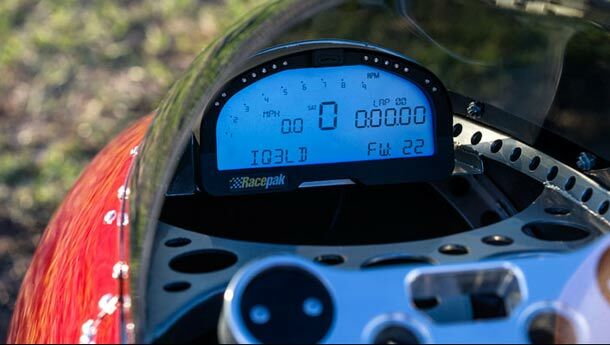 With the ThunderStroke 111 powering it, it sounds heroic. Head over to their website to hear the motor in all its glory.